"There are many roads to peace. 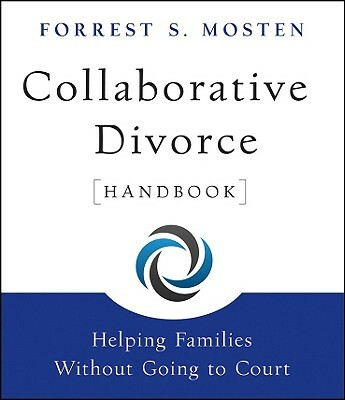 Whether you engage in collaborative practice, which by definition includes the provision that professionals will not represent the parties in litigation, or some other process for respectful conflict resolution, you will find Collaborative Divorce Handbook to be an invaluable resource for deepening your understanding and enhancing your skills as a peacemaker." "Collaborative lawyering is a promising new way of resolving disputes through joint problem solving rather than adversary litigation that has particular appeal for divorce cases. Whether you are a client who seeks to learn more about it or a lawyer using it who desires a wise guiding hand, this book is an invaluable resource." "Written by one of the innovative thinkers in the field, Collaborative Divorce Handbook is a treasure of information for all professionals interested in collaborative divorce. Easy to read, expansive, and chock-full of resources, it is bound to become a classic." "Family law is changing. As more people realize that the adversarial process is expensive, degrading, and stressful, they look for alternatives and find it in various forms of alternative dispute resolution. Woody Mosten is the nationally recognized leader of this movement, and his book on collaborative practice literally will be 'The Handbook' we will all follow." --Garrett C. Dailey, Esq., CFLS, AAML, president, Attorney's BriefCase, Inc.
Forrest "Woody" Mosten is a collaborative attorney, mediator, author, and educator who is invited to serve as a keynote speaker and presenter at conferences and seminars around the world. For the past three decades, he has been honored as a leader and innovator in the field of conflict resolution by numerous major legal and peacemaking organizations, including the ABA, with its prestigious Lawyer as Problem Solver Award. Woody is the author of The Complete Guide to Mediation, Unbundling Legal Services, and Mediation Career Guide: A Strategic Approach to Building a Successful Practice (Jossey-Bass). He can be reached at www.MostenMediation.com.